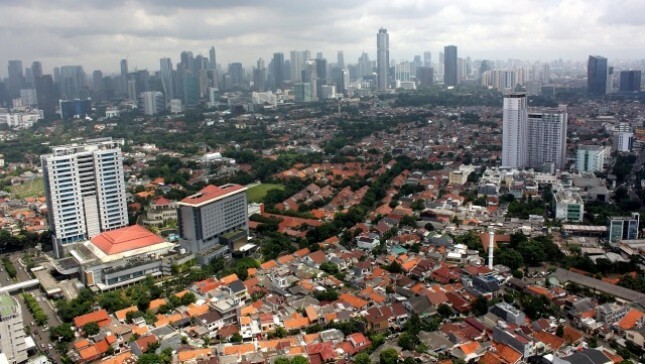 INDUSTRY.co.id - Jakarta - A number of investors from several Asian countries such as Japan, China, Hong Kong and Singapore continue to show high interest in investing in Jakarta's property sector. The growing interest in Jakarta's economy in the next 12 years is expected to compete with Singapore, Bangkok, and even Hong Kong. This is stated in the Oxford Economics Global Cities 2030 report. By 2030, Jakarta's economic figures are believed to grow to $ 354 billion, making it second only to Tokyo with a GDP of $ 372 billion. Interestingly, Jakarta will also be able to rival Singapore who occupies the fourth position (USD213 billion). Not only that, Jakarta is increasingly prospective and becoming the city with the largest number of consumers by 2030 based on higher income households. His position will be in the order to-22, where in 2013 occupy the position to-119. Economic factors are projected to jump sharply into one of the biggest reasons foreign developers, especially Asia expanded to the Metropolitan City. They include Tokyu Land, Keppel Land, China Construction Communication Group (CCCG), Wuzhou Investment Group, and Ruby Group Singapore. On the one hand, despite the condition of the Jakarta property market still in recovery phase and preparing to face the political year, foreign developers claimed to remain optimistic to attract the main market segment in the upper middle segment. According to Faizal Abdullah, Executive Director of PT. Alam Makmur Property as the developer of Cluny Residence located in West Jakarta, a unique market property coupled with high occupancy rate that still makes the capital worthy to be targeted. Especially when looking at the number of existing properties compared with the number of families, DKI Jakarta recorded a shortage of 302,319 units of dwelling. According to SUSENAS data two years ago, currently only half the population of Jakarta (51%) has its own property (house / vertical dwelling). "Jakarta is a huge target market considering the growing number of people every year. For that, the provision of occupancy in the vertical concept has a very high urgency. Why should be vertical, because the availability of land at this time is not possible to be developed in the form of landed house, "he said. The people of Jakarta, continued Faizal, are also considered to require strategic, comfortable, safe and quality accommodation. No wonder the residential projects developed by foreign developers have been trusted because it has a relatively higher standard. For example in Cluny Residence, an exclusive apartment made by developers from Singapore is very concerned about the details in each unit. Quality building materials and classy residential design, has always been the main focus of developers. "Convenience is the key element that consumers must get. Therefore, from the entrance to the apartment unit to the service room though, we as a developer trying to put forward a cozy atmosphere for a family dwelling, "he ended.